Welcome to the St. Mary’s Messaging System! Click here to send an link for the app right to your phone. 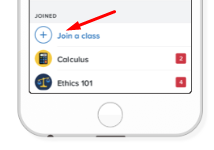 To join a class, tap the + by Classes Joined and either join with your class code or search for your class. You’ll automatically get app notifications. Join from your inbox: Send a blank email to [email protected] (If the class code were @stmarym, for example, you’d send a blank email to [email protected].) You’ll get a response with more instructions. You can also join via Text Message using the instructions below. PLEASE NOTE: IF YOU ARE A VERIZON MEMBER YOU CAN NOT RECEIVE TEXT MESSAGES FROM REMIND. Turn on and off Texts or Remind Messages. 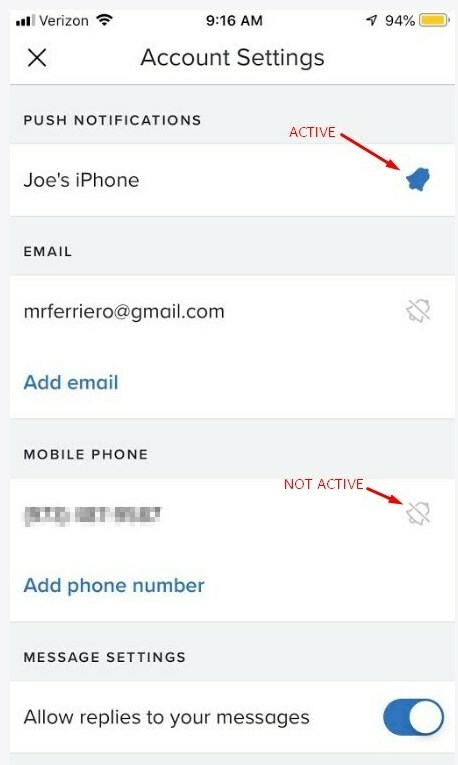 Log into the Remind App on your phone and press the gear icon by your name (settings). See image to the right for help. In settings, you can run on and off notifications. If the bell on the right is BLUE is it on if it is grey with a slash through it it’s off. Email: Our messages will be emailed to you. Mobile Phone: Our messages will come as a text for you. You can also add an email or cell phone number here. You can also do this through the Remind.com website. Click your name in the top left > click account > click communication. From here you can see what services you are using. Check the box next to services you want to turn on or off.